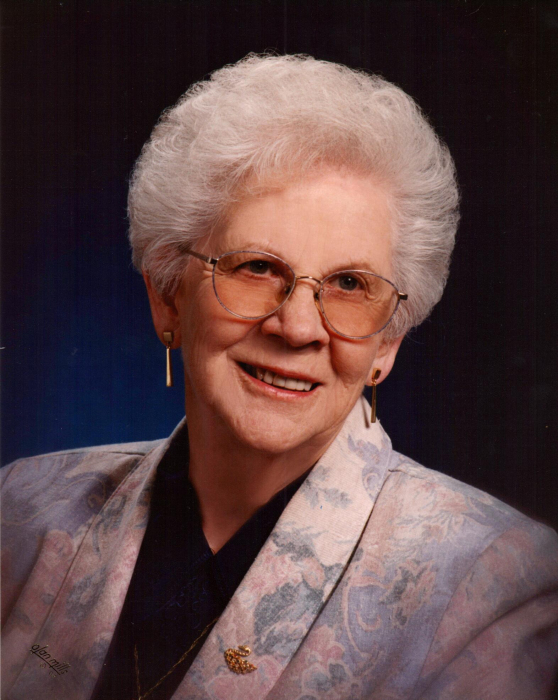 Bernadine Agnes Lackey Opp was born on April 20, 1923 in Butte Montana. She was the welcomed third and final child of her parents Vance and Agnes Lackey. Bunny “Butte” Lackey was notorious in her youth for her shenanigans, which she honed in observing the skills of her cherished older brother, Leck, as evidenced by the “Chickerree’s” she and other local children took part in. Among the many stories she shared with fondness from her youth, the most memorable include the “Silk Shirts and Kittens Should Not Mix” and “Who says tobacco is not meant for little girls?” or “My Daddy and the pedestal upon which Mother sat”. Listening to Bunny’s stories was like being transported into a glorious and simple past full of laughter, curiosity and wonder. No better childhood could have been imagined and no greater character could have been chartered as a result. Always at the center of her life, and the foundation upon which she would grow and one day build her future, was her love for her Lord and His freely given grace. In 1942, Bun left Lima for the metropolis of Ogden, Utah. A young woman Bunny was set on contributing her part to the War effort and took work at the defense arsenal. Bunny always spoke fondly of her days as a young lady and the friends she shared the time with. Dancing at the White City Hall was a favorite past time and when the dance hall was demolished many years later to make way for a parking structure, Bunny remarked, “Well, that’s what you call progress!”. Always optimistic and forward looking, Bunny’s character and humor saw her through the good times and bad. Bunny married Thomas Winnas but later divorced. Following the war, Bunny married Louis Opp and celebrated the event with friends by rowing down State Street in a fishing boat. Little did the wedding party know at the time that that night would go down in Opp history forever. Bun and Lou were charter members of Our Saviors Lutheran Church in Roy, UT. Together they celebrated in the raising of their four children Kent, Ruth Ann, John and Mary. As with joy so comes sorrow and sadly Bun and Lou would not see their dear John grow into a man. Nevertheless, her never failing faith in the Lord and her love for her children gave her endurance and strength to lead fearlessly the next generation of her family. For those fortunate enough to call Bunny “Grandma” a legacy has been passed and with it her faith, love, laughter and resolve. To Shawn who is the first born grandchild, her patience and leadership. To Stephanie, kindness and tomfoolery. To Tina her resolve. To Candace her wit. To Brandi, her duty and pure servant heart. To Randall her strength and to Stacy her wanderlust. But most dear to her are her three living children and her prayer for them that they will love the Lord their God with all their heart and honor one another until they are called home to heaven. For those who would grieve the loss of this perfectly imperfect woman Bunny’s advice is this “What’s the use in worrying, turn your problems over to the Lord” and dear readers if you really knew Grandma then you also know she would say “What are you going to do about it ....... then don’t tell me your problems”. Our answer, Grandma, is always the same! Until we meet again may you rejoice in the presence of the Lord. Bun is survived by her three children James Kent Opp (Shirley), Ruth Ann Oram, Mary Louise Harris (Warren); seven grandchildren, nineteen great-grandchildren, and a handful of great-great-grandchildren too. Bunny was preceded in death by her husband Louis George Opp, son John Vance, sister Virginia Lackey Roberts, and brother Hazen Leck Lackey. Funeral services will be held on Saturday, February 16, 2019 at 11 a.m. at Our Savior’s Lutheran Church, 5560 South 2300 West, Roy, Utah. Friends may visit with family on Saturday from 9:45 to 10:45 a.m. at the church. Interment, Lindquist’s Memorial Gardens of the Wasatch, 1718 Combe Rd. Services entrusted to Lindquist’s Ogden Mortuary.